﻿ New Zealand 0-4 Portugal. Sailing into the semis! 24.06.2017 » New Zealand 0-4 Portugal. Sailing into the semis! Portugal are through to the Confederations Cup semi-finals, after beating New Zealand 4-0 and securing the top spot in Group A. Ronaldo with the opener, followed by Bernardo Silva, André Silva and Nani scored the Portuguese goals in Russia. There were no surprises in Saint Petersburg this Saturday evening, as Portugal took on New Zealand and beat them with an expressive 4-0. The Selecção only needed a draw to assure they would go through, but to be fair thas was never in question. Cristiano Ronaldo, who else, broke the deadlock in the 33th minute and just a few minutes after Bernardo Silva increased the lead to 2 goals. In the second half, Fernando Santos rotated a few of his men but the European Champions still scored a couple more goals, one from the new AC Milan forward André Silva and another from Nani. 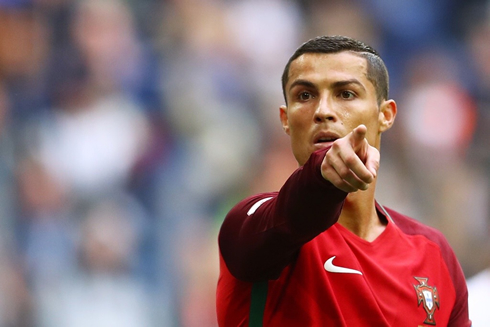 Portugal will now face Chile next Wednesday in one of the competition's semi-finals. Four goals from 4 different players were enough to take Portugal past New Zealand and into the semi-finals of the Confederations Cup. Cristiano Ronaldo, Bernardo Silva, André Silva and Nani were all on the scoresheet as the reigning European Champions took charge in their last group game, making light work of the Kiwis. Portugal were clear favorites and played like it for the majority of the match. They spent much of this match camped out in the New Zealand half and could have scored even more on the day. Ronaldo opened the scoring with a trademark penalty after Danilo was fouled in the box in the 33rd minute. 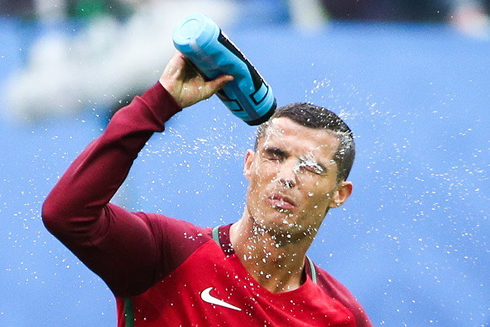 The goal was his 56th in his last 56 games in all competitions and his 75th overall for Portugal. Ronaldo is now a mere two goals behind Pelé and 25 short of 100. Only one player ever has scored over 100 goals for his country, Ali Daie, from Iran. And the goals kept coming. Quaresma, who was fantastic all game long, played a scoop pass to Eliseu and his square cross found Bernardo Silva in the box. The tricky midfielder finished well, but he also had to come off as a result of being tackled as a shot. A small price to pay. 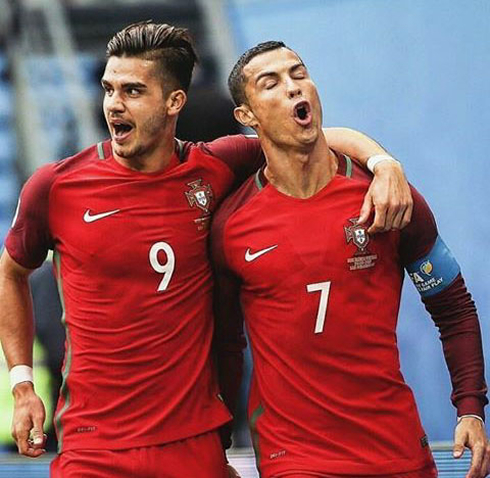 Portugal's last two goals would come a bit later through André Silva and Nani. The former Manchester United winger came on the pitch for Ronaldo, who was taken off midway through the second to be preserved for the knockout rounds. That luxury, however, was not afforded to Pepe and the defender will be missing the next match after a clumsy tackle that produced his second yellow card of the tournament. Portugal also missed Pepe during the semi-final of the last European Championships, so they do have some experience though he'll be sorely missed. It was a good result regardless and Portugal will now move on along with Mexico, who beat the hosts Russia, into the semis. Cristiano Ronaldo next game is a Confederations Cup game on June 28 of 2017 against either Germany or Chile. You can watch Juventus live stream, Chile vs Portugal, Spain U21 vs Italy U21, England U21 vs Germany U21, Slovakia vs Sweden, and Germany vs Mexico, all matches provided from our liver soccer game pages.